The SHRC considered the following nominations at their regularly scheduled hearing on January 20, 2012. They recommended the State Historic Preservation Officer (SHPO) forward 5 National Register nominations to the Keeper of the National Register for listing. 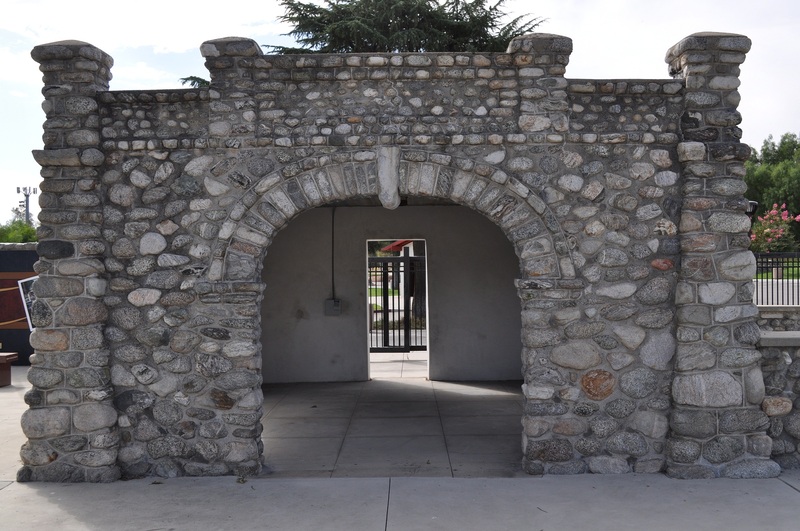 They also added one property to the California Register of Historical Resources, found another property ineligible, and approved the nomination of a California Historical Landmark. Dr. O.S. Ensign House, Ontario, San Bernardino County. This Stick/Eastlake house is one of the most elaborate and intact examples of Eastlake architecture in the city of Ontario, designed for Dr. Orville S. Ensign. Howard-Ralston Eucalyptus Tree Rows, Burlingame, San Mateo County. 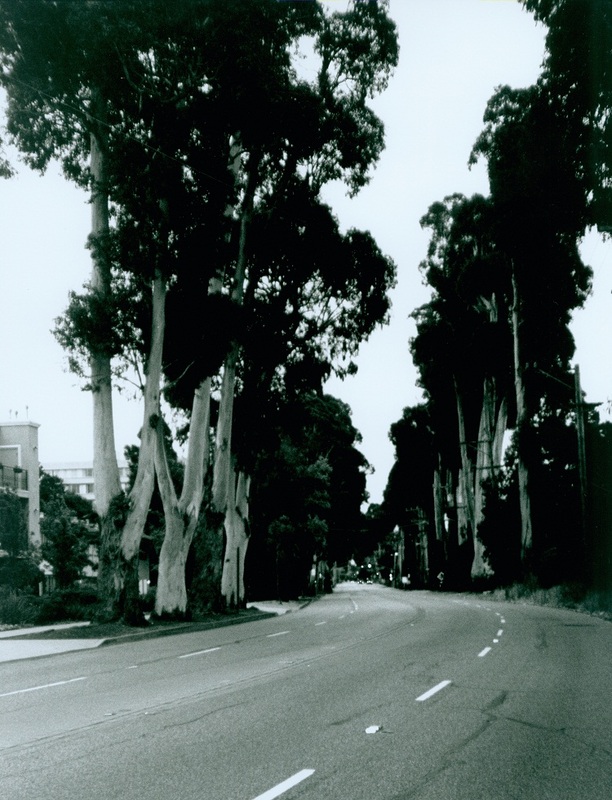 Planted by famed landscape gardener John McLaren for property owners George H. Howard and William C. Ralston, these tree rows are associated with the founding of the cities of Burlingame and Hillsborough, California, and influenced Burlingame's sense of local history and development, and express the importance of the El Camino Real. Fox Wilshire Theatre, Beverly Hills, Los Angeles County. This Art Deco theatre in Beverly Hills, designed by S. Charles Lee, opened as a movie palace in 1930. 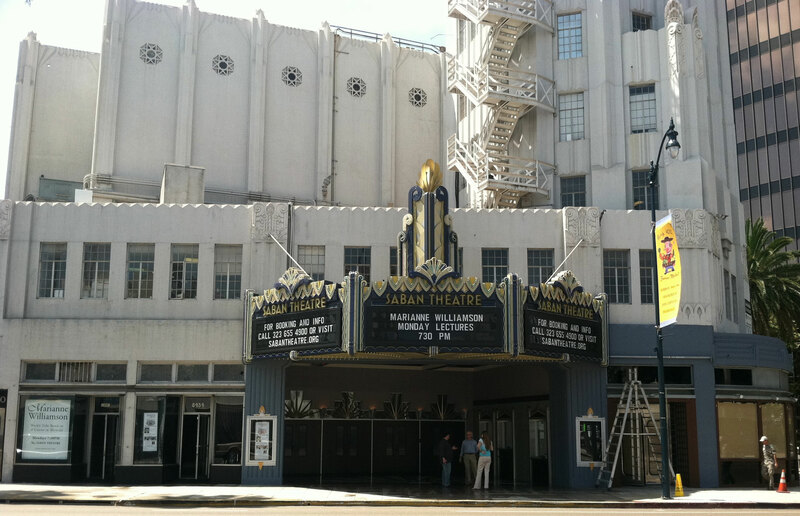 Built with a full stage, orchestra pit, and fly loft at the end of the vaudeville era, the venue was successfully converted for live performances in 1979, and now operates as the Saban Theatre. Lorenz Hotel, Redding, Shasta County. 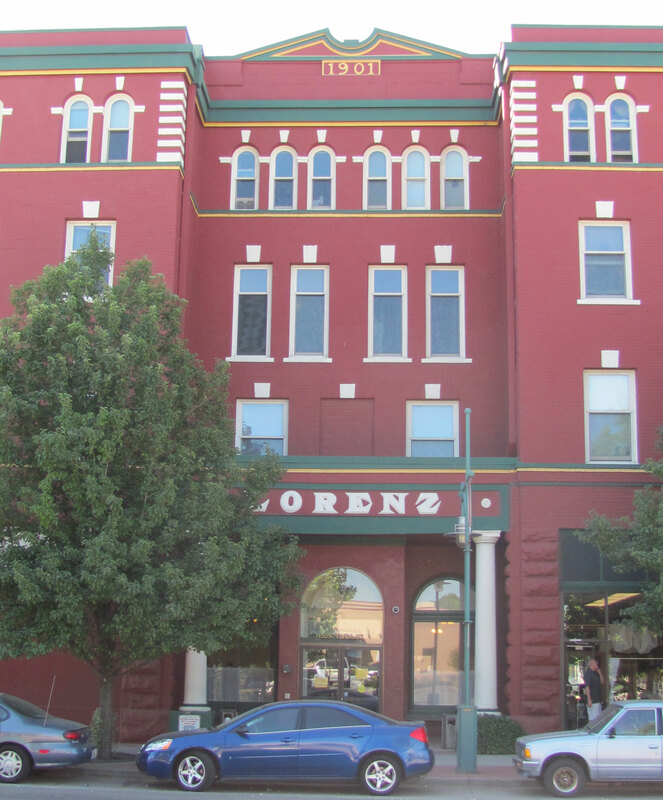 Completed in 1902, the Beaux Arts/Italian Renaissance style Lorenz has served downtown Redding for over 100 years as a commercial and residential hotel. Well into the 20th century, the hotel provided modern accommodations to business travelers and salesmen, in addition to workers in the mining and dam building industries. Steel Development House No. 2, Palm Springs, Riverside County. Primarily composed of steel and glass on a concrete foundation with no structural wood, this 1962 house represents a unique synthesis of off-site prefabrication and on-site assembly. It also demonstrated the possibilities for rapidly-assembled and affordable homes for the middle class that were designed to withstand the harsh desert environment. 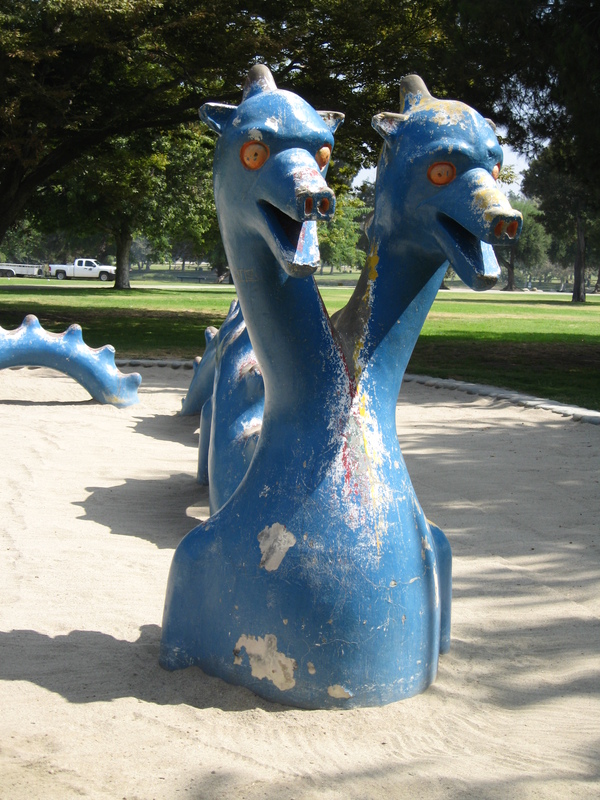 Legg Lake Play Sculptures, South El Monte, Los Angeles County. Constructed in 1960, the Legg Lake Play Sculptures are six aquatic themed playground pieces hand crafted in concrete by artist Benjamin Dominguez. All are located along a quarter mile walking path adjacent the eastern portions of Legg Lake and Center Lake within the Whittier Narrows Recreation Area. Arcata Branch Chapel LDS Church, Arcata, Humboldt County. 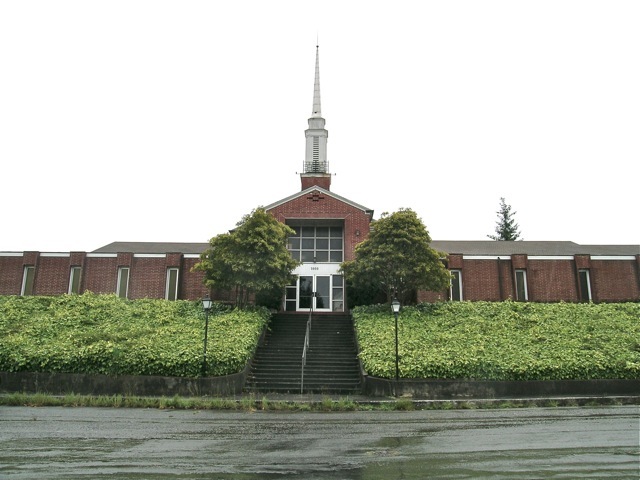 This church was first built in 1955 in the Colonial Revival style, with added south office wing constructed in 1967/68 and north classroom wing in 1984. Savannah Memorial Park, El Monte, Los Angeles County. 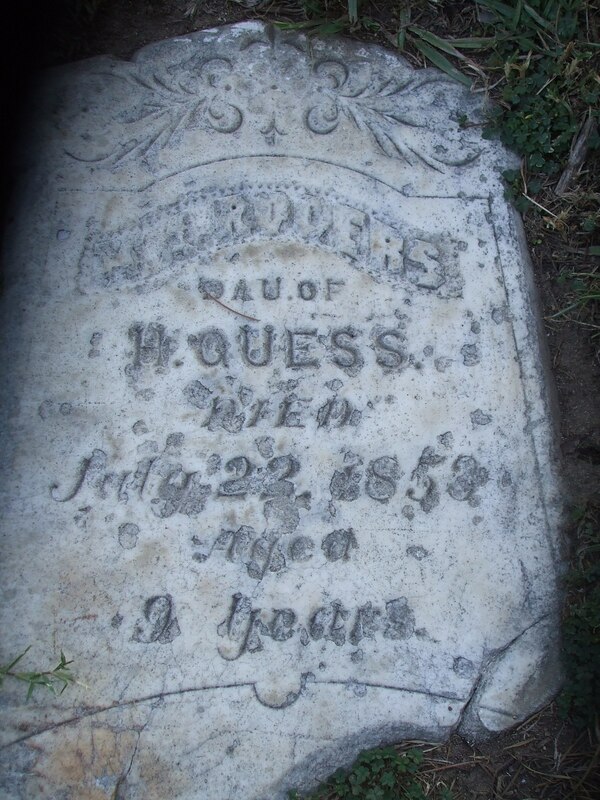 The historic cemetery of the pioneer settlers who founded El Monte, California, many of whom were instrumental in developing the legal, educational, and social foundations of southern California. The SHRC considered the following nominations at their regularlys cheduled hearing on May 3, 2012. They recommended the State historic Preservation Officer (SHPO) forward ten National Register nominations to the Keeper of the National Register for listings. They also added one property to the California Register of Historical Resources and approved the nomination of two California Points of Historical Interest. 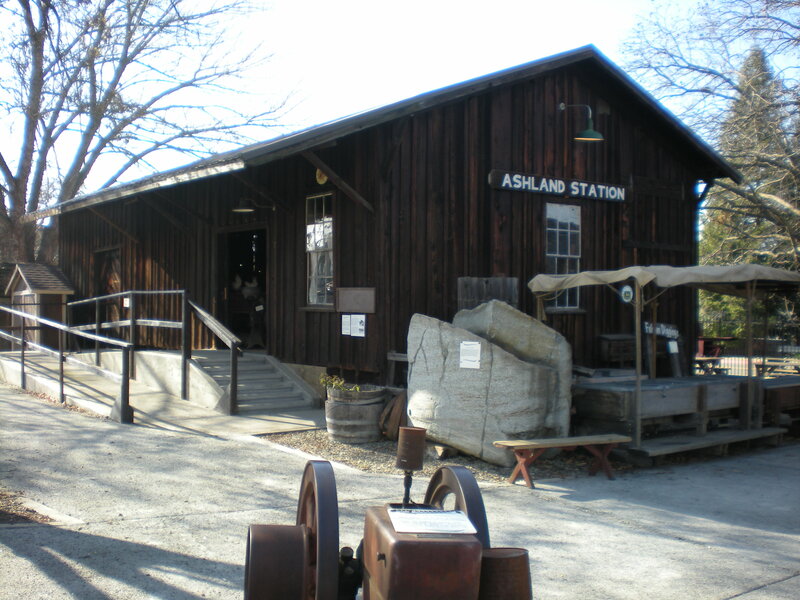 Ashland Depot, Folsom, Sacramento County. Constructed in 1860, this board-and-batten freight depot is the only surviving building directly associated with California's pioneer railroad era prior to the completion of the Central Pacific Railroad. California Granite Company, Rocklin, Placer County. 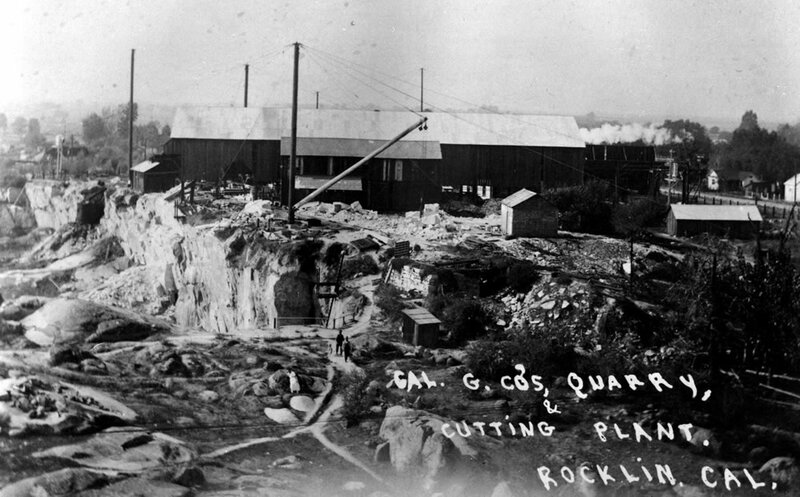 Operating from 1865 until 2005, California Granite Company was the largest granite quarry in Rocklin, known as "Granite City," employed more men than any other quarry, and outlasted Rocklin's other quarries by 65 years. Granite from this quarry was used to create many of the most prominent architectural landmarks in California, and riprap, gravel and ballast for railroad roadbed used to create the Central Pacific Railroad. Durgan Bridge, Downieville, California. 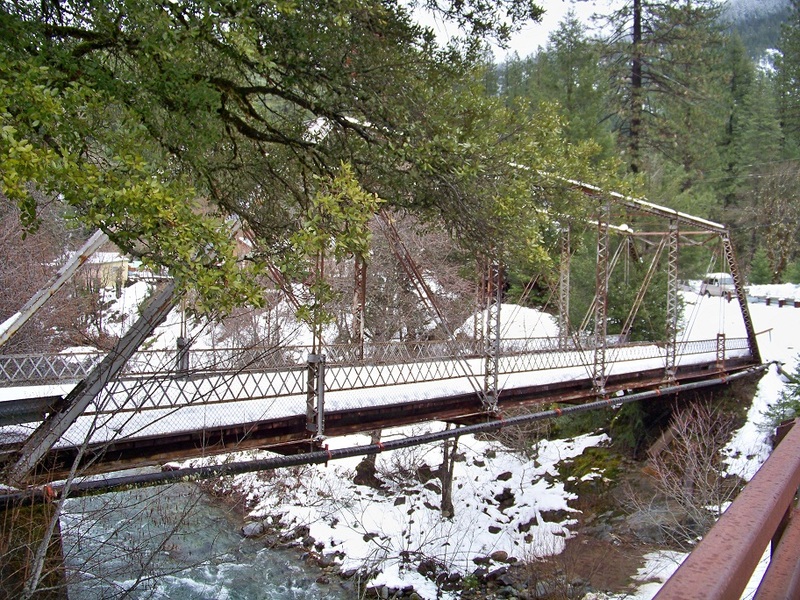 One of four one-lane bridges that connect the city of Downieville, the Durgan Bridge is a 140 foot metal truss bridge constructed by the Judson Pacific Company in 1938. Hansen Bridge, Downieville, California. 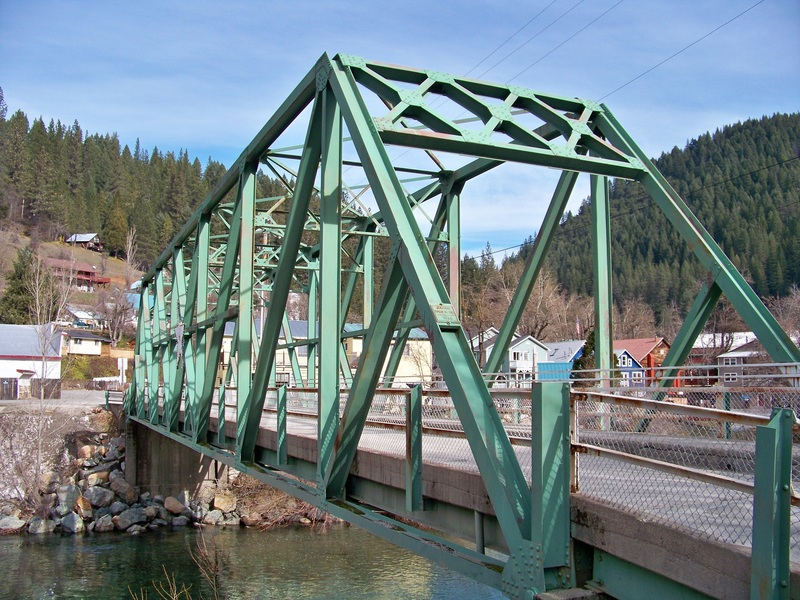 One of four one-lane bridges that connect the city of Downieville, the Hansen Bridge is an 80 foot long low side-panel steel truss bridge constructed by the Lord & Bishop Company in 1935. 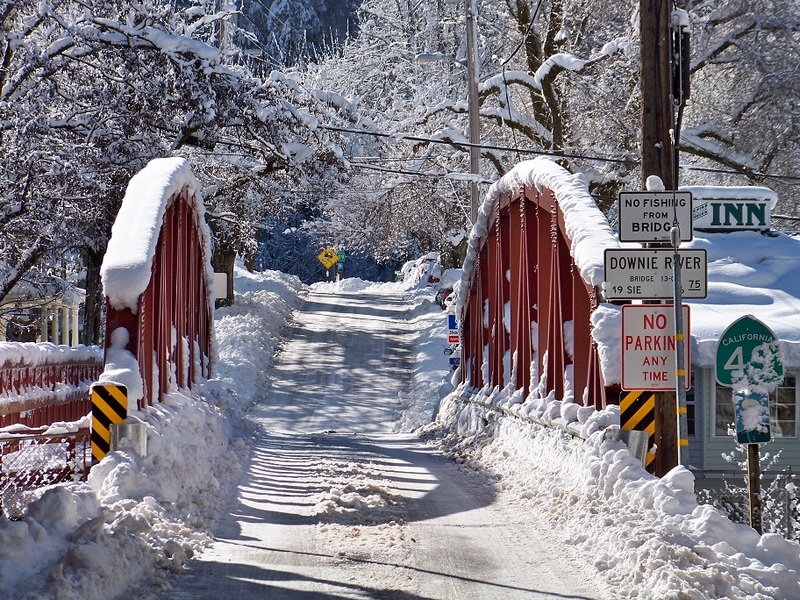 Hospital Bridge, Downieville, California. 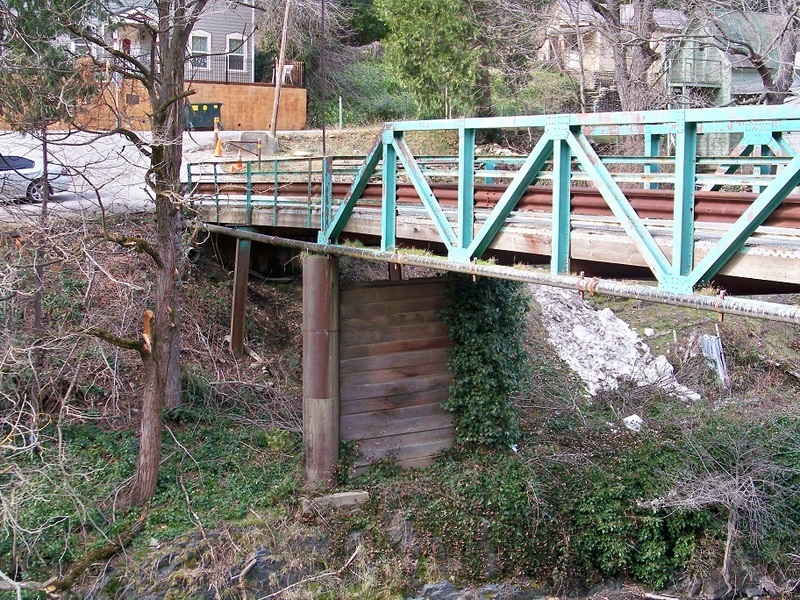 One of four one-lane bridges that connect the city of Downieville, the Hospital Bridge is a 100 foot long steel Pratt truss highway bridge constructed by the Western Bridge and Construction Company in 1910. Jersey Bridge, Downieville, California. One of four one-lane bridges that connect the city of Downieville, the Jersey Bridge is a 120 foot polygonal Warren truss bridge constructed by the Judson Pacific Company in 1938. Sacramento Northern Railway Historic District, Solano County. 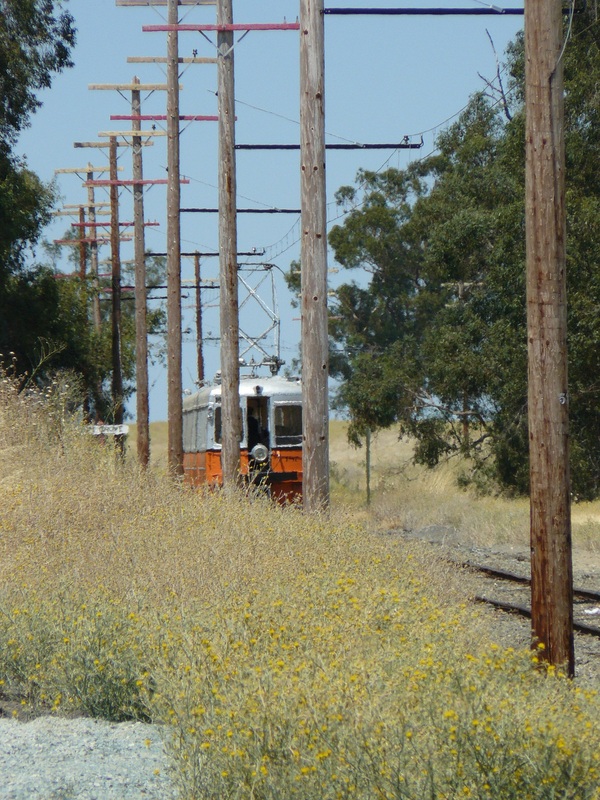 This section of the Sacramento Northern Railway was constructed as part of an electric interurban railroad between Oakland and Sacramento. The property became a railroad museum dedicated to the history of electric railroading in California in 1960. The nominated district includes right-of-way, buildings, electrical substations and rolling stock. Shiloh Baptist Church, Sacramento, Sacramento County. 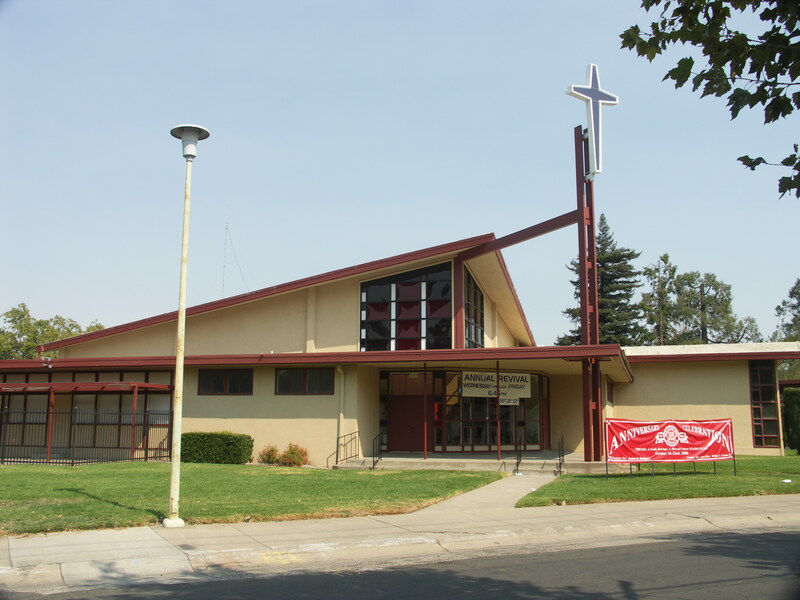 This Mid-century Modern church represents the work of master architect James Dodd, Sacramento's first African American architect, and the relocated congregation of the Shiloh Baptist Church. Tishawnik, Location Restricted. Tishawnik dancegrounds have been used since time immemorial by the federally recognized Karuk Tribe. Tishawnik contains the exact locations where the dances must be performed, determined by views to sacred mountains and by the way shadows from the mountains fall on Tishawnik. 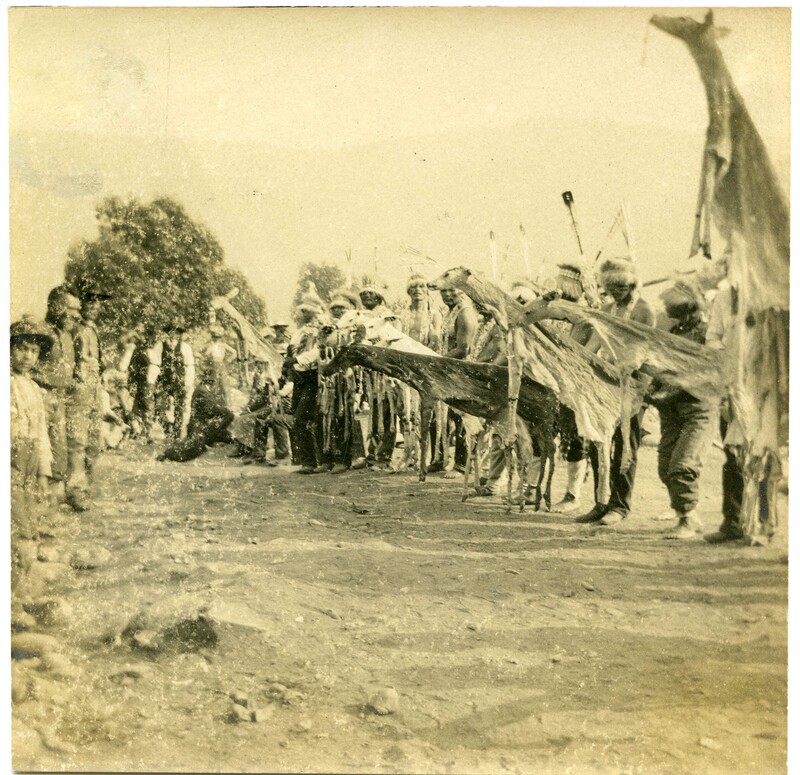 The White Deerskin Dance (pictured, 1904) and other dances at Tishawnik are linear dances. <?xml:namespace prefix = o ns = "urn:schemas-microsoft-com:office:office" />Properties being nominated to the California Register of Historical Resources. Click on photo for an enlarged image and property name for a copy of the nomination. Hardin Schoolhouse, Pope Valley, Napa County. 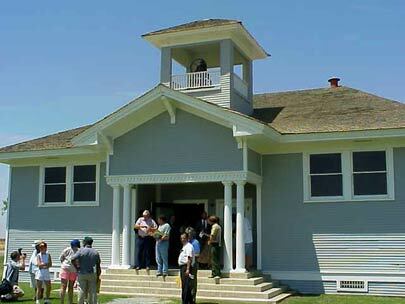 Constructed in 1875 the Hardin Schoolhouse is significant for its association with the development of rural public education in Napa County and California. Hardin Schoolhouse is last one-room schoolhouse of five constructed in the Pope Valley. 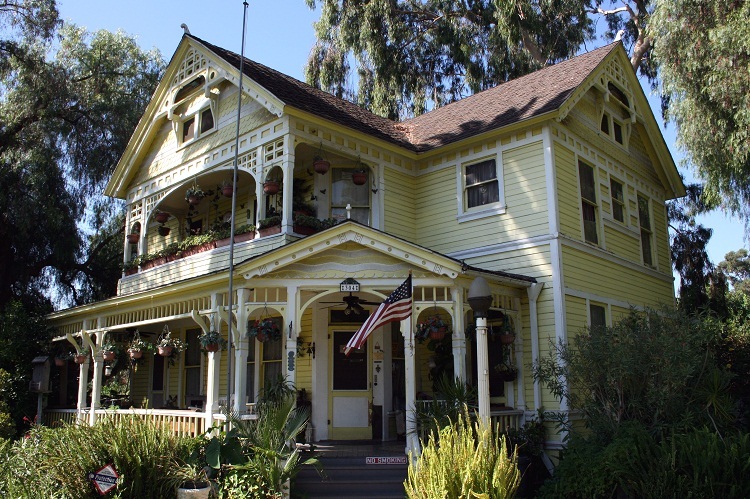 Properties Nominated for California Points of Historical Interest Designation. Click on photo for an enlarged image and property name for a copy of the nomination. Fourteen Mile House, Citrus Heights, Sacramento County. The last of the many early inns built to serve the freight wagons along the Auburn Road, constructed circa 1849, with an accompanying tank house. After commercial traffic on the roadway decreased with the completion of the Central Pacific Railroad, the house became a single family residence, and was remodeled in the Craftsman style in 1919. O'Neill Surf Shop Site, Santa Cruz, Santa Cruz County. Site of Jack O’Neill’s Surf shop. O’Neill was first to create and market neoprene wetsuits that made it possible for surfers to extend their time in the freezing waters off Santa Cruz and in the process changed the sport of surfing. 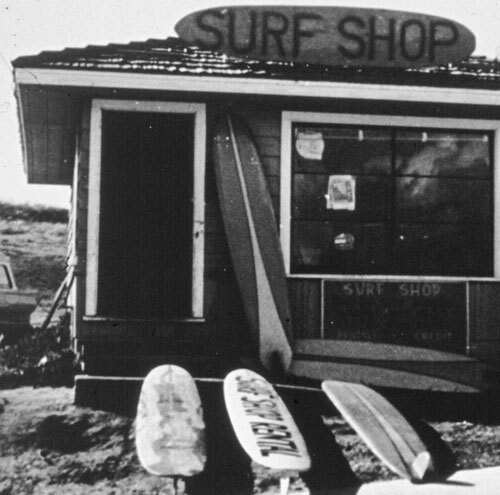 The opening of O’Neill’s shop allowed Santa Cruz surfers to purchase wetsuits locally. The SHRC considered the following nominatons at their regularly scheduled hearing on August 3, 2012. They recommended the State Historic Preservation Offier forward 6 National Register nominations to the Keeper of the National Register for listing. They also added two properties to the California Register of Historical Resources, and approved teh nomination of a California Historical Landmark. Click on photo for an enlarged image. Click on property name for a copy of the nomination. Boulevard Heights Historic District, Los Angeles, Los Angeles County. 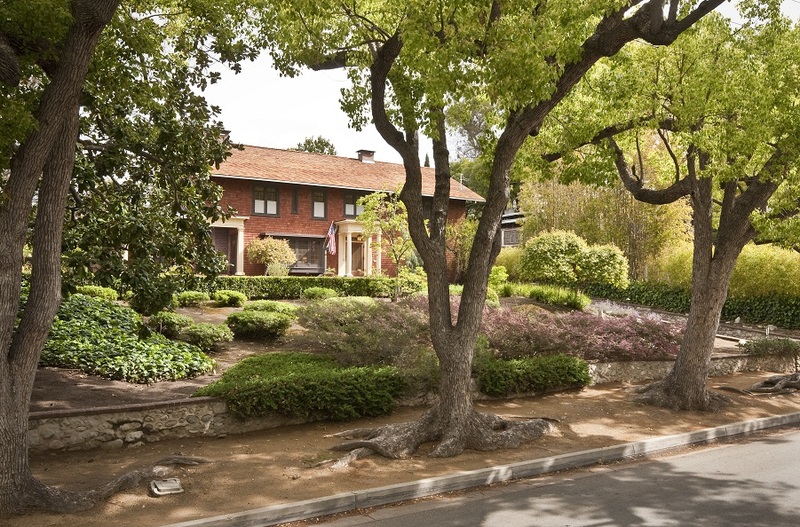 An intact residential tract from the early twentieth century in Wilshire Park, a Los Angeles-designated Historic Preservation Overlay Zone. Architectural styles include Arts and Crafts and revivals such as Colonial, Mediterranean, Spanish Colonial, and Tudor. First Congregational Church of Long Beach, Long Beach, Los Angeles County. 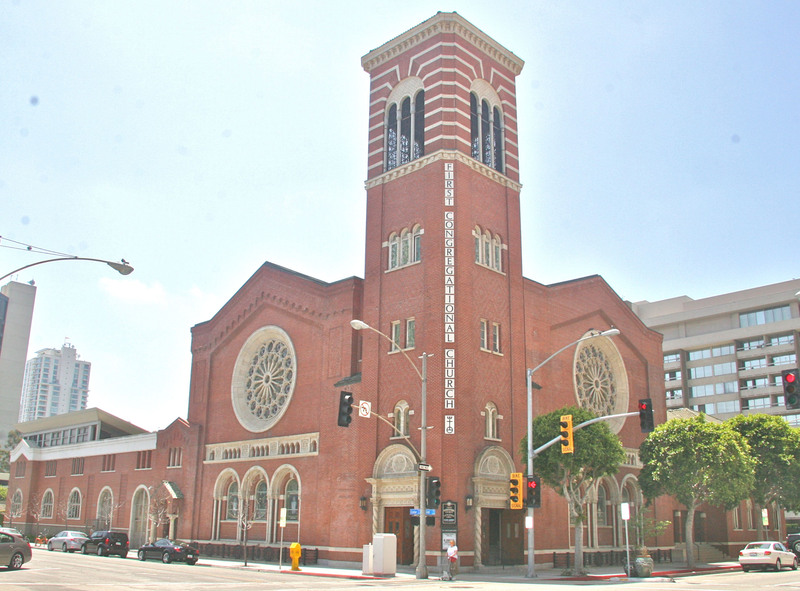 A 1914 Romanesque Revival style church in the heart of downtown, significant for its art and architecture including a one hundred and ten foot corner tower, green mission tile roof, patterned tapestry brickwork, and leaded and stained glass windows. 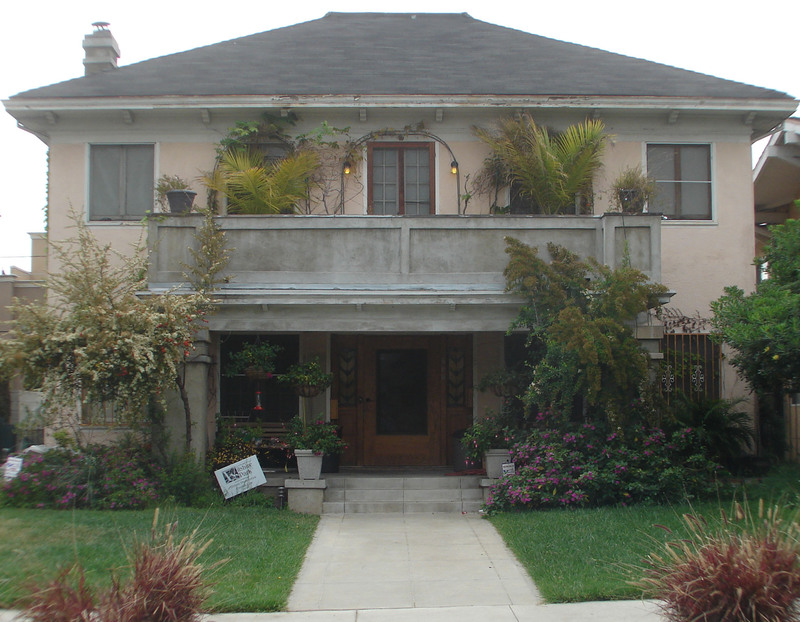 Markham Place Historic District, Pasadena, Los Angeles County. One of the best and most intact remaining examples of the early residential development of Pasadena, associated with both the “Late 19th and Early 20th Century Development and Architecture in Pasadena” (primary) and “Residential Architecture of Pasadena, CA 1895-1918: The Influence of the Arts and Crafts Movement” (secondary) Multiple Property Submissions. 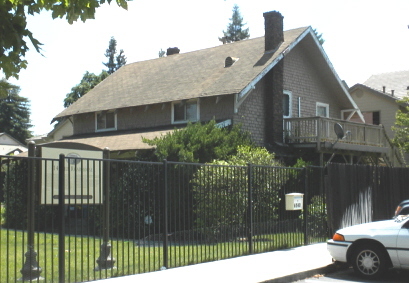 Maydestone Apartments, Sacramento, Sacramento County. 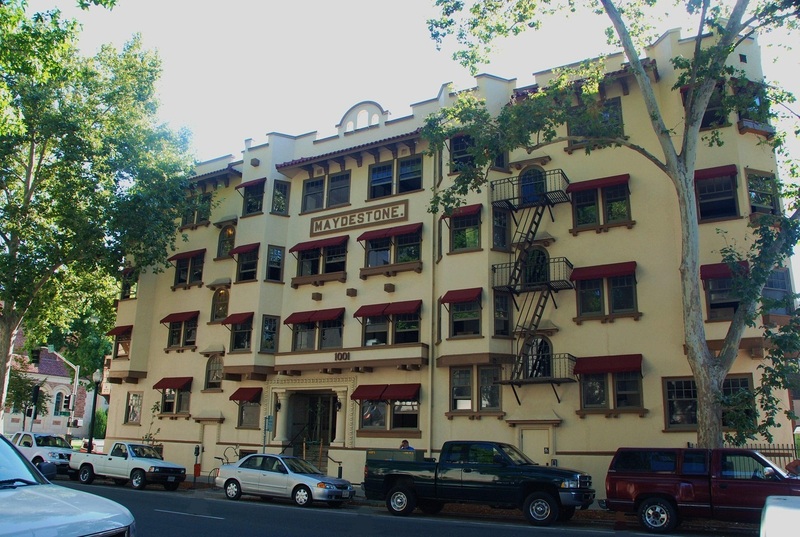 A 24 unit efficiency apartment building constructed in 1910, one of Sacramento's finest examples of Mission Revival architecture. Ontario and San Antonio Heights Waiting Station, Upland, San Bernardino County. This streetcar stop indicated the end of the line for Upland's commuter rail system, built using the region's ubiquitous river rock. Yamashiro Historic District, Hollywood, Los Angeles County. 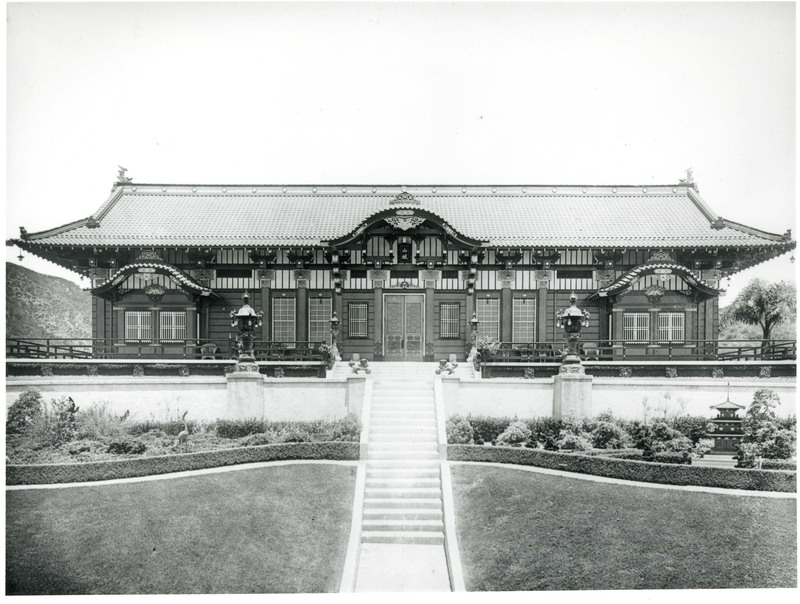 Japanese for “Castle on the Hill,” Yamashiro was the vision of brothers Adolph and Eugene Bernheimer, German-born cotton barons and avid Asian Art collectors. A significant example of American orientalism in architectural design, the property also played a role in the development of Hollywood. Properties nominated to the California Register of Historical Resources. 527 7th Street Warehouse, San Francisco, San Francisco County. 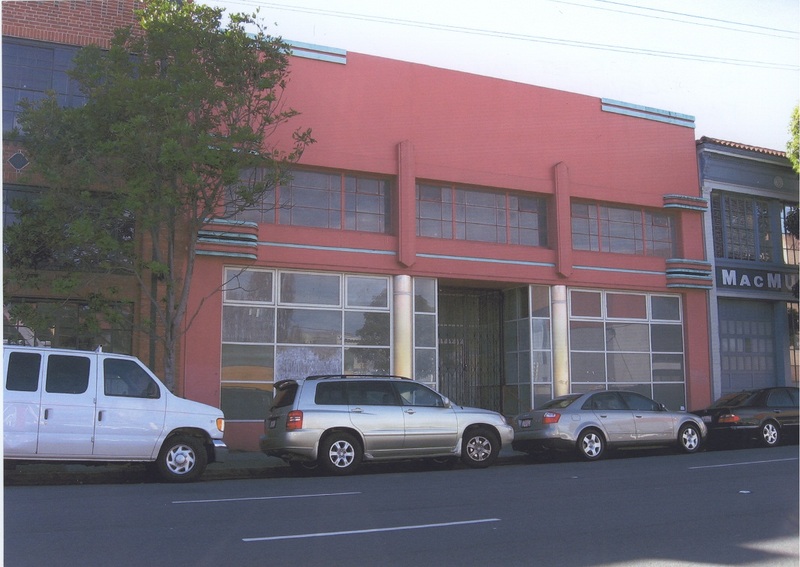 The 572 7th Street Warehouse is associated with the light industrial development south of Market Street that took place between the Great Depression and World War II. 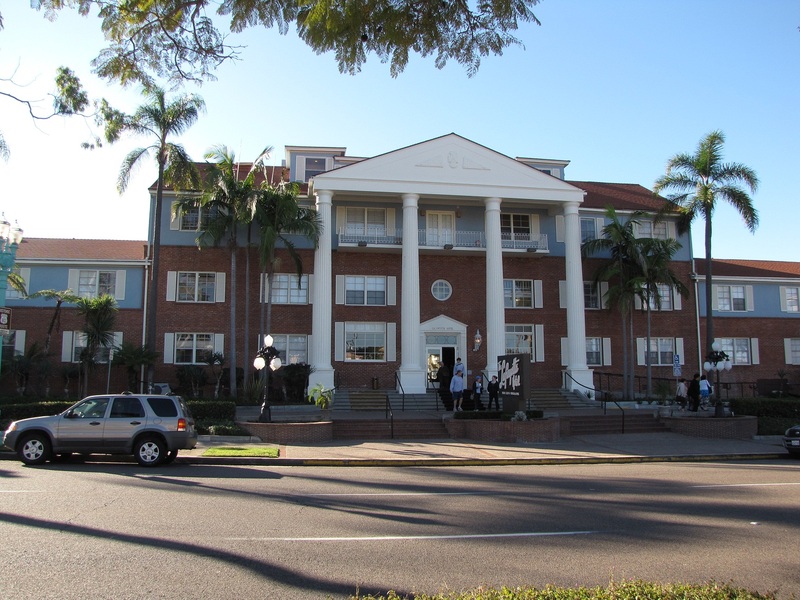 Designed by master builder George Wagner, the building is also an excellent example of Art-Moderne Architecture. Maravilla Handball Court and El Centro Grocery, East Los Angeles, Los Angeles County. 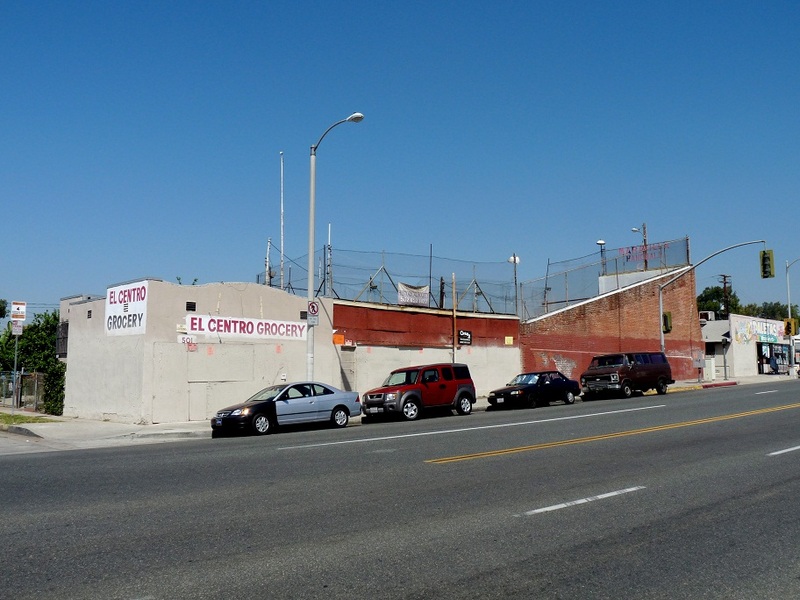 The Maravilla Handball Court and El Centro Grocery played an important role in the multi-layered ethnic history of Los Angeles. The small complex is also a rare example of a vernacular recreational building. 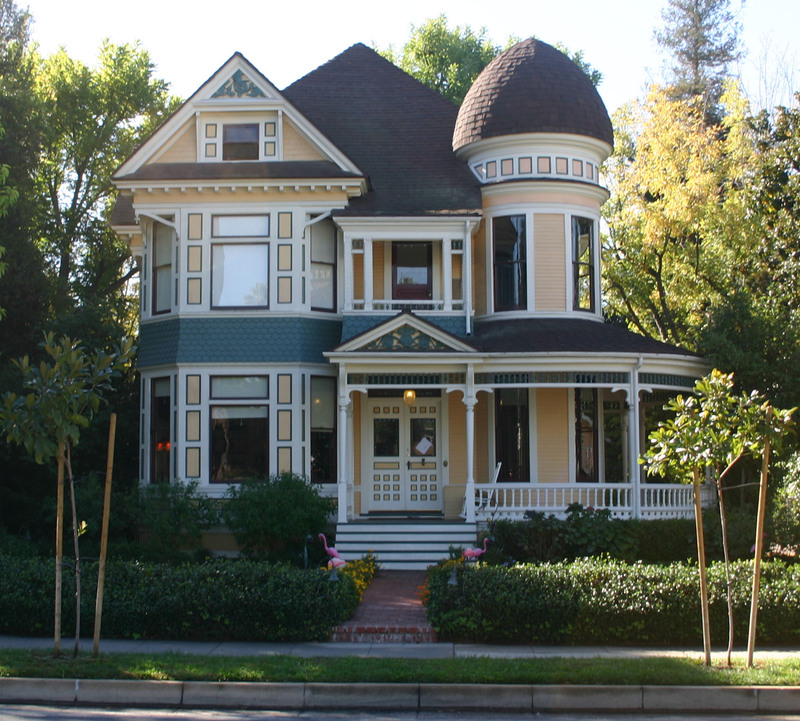 Properties nominated to the California Historical Landmarks program. Allensworth, Tulare County. Allensworth was established in 1908, a town financed, founded and governed by African Americans. The town stands as a testament to its founders' vision of self-determination and full human potential for America's black citizens. It continues to be a source of cultural pride and heritage for California's African American citizens and is an excellent example of the pioneering spirit that has characterized all of California's people for centuries. The SHRC considered the following nominations at their regularly scheduled hearing on November 9, 2012. They recommended the State Historic Preservation Officer (SHPO) forward 6 National Register nominations to the Keeper of the National Register for listing, and recommended one property for removal from the National Register of Historic Places. They also added one property to the California Register of Historical Resources. Chicano Park, San Diego, San Diego County. 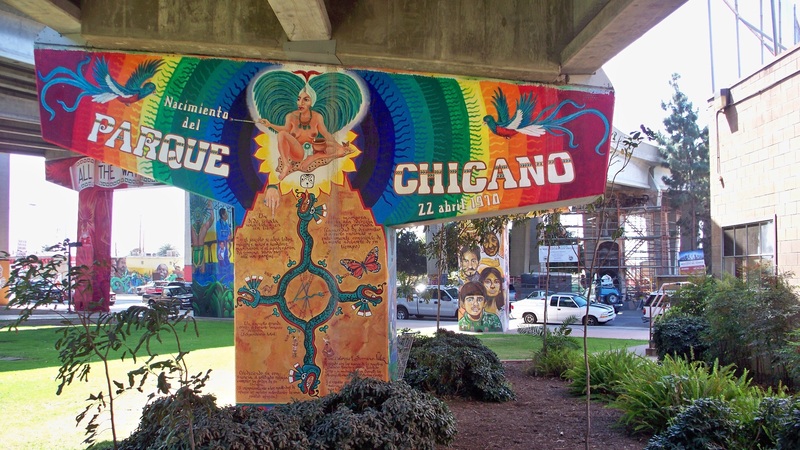 This assemblage of murals commemorates the events of April 22, 1970 when members of the Barrio Logan community first occupied the land under the approach ramps of the San Diego-Coronado Bay Bridge, creating a community park. The property is nominated for its significance to the Chicano Movement and as an assemblage of murals representing the masters of Chicano Movement artwork. Fox Theatre Inglewood, Inglewood, Los Angeles County. 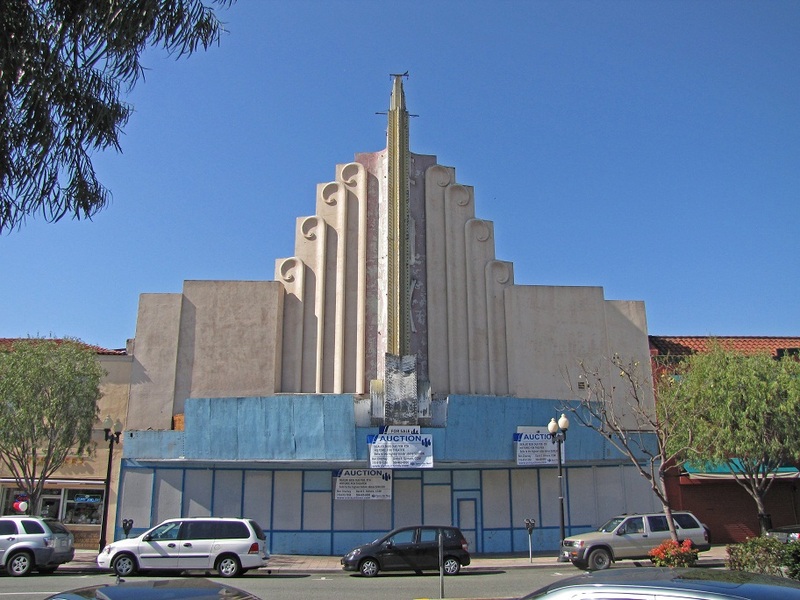 This 1949 movie theater represents the work of master architect S. Charles Lee, whose work was seminal in the development of American movie theater desgin, and designer Carl G. Moeller, whose design elements led to the development of the "Skouras Style" of movie theater. Merwin House, Pasadena, Los Angeles County. This 1905 Craftsman bungalow represents the work of master archtiect Charles and Henry Greene. Monte Vista & Diamond Mountain Vineyard, Calistoga, Napa County. 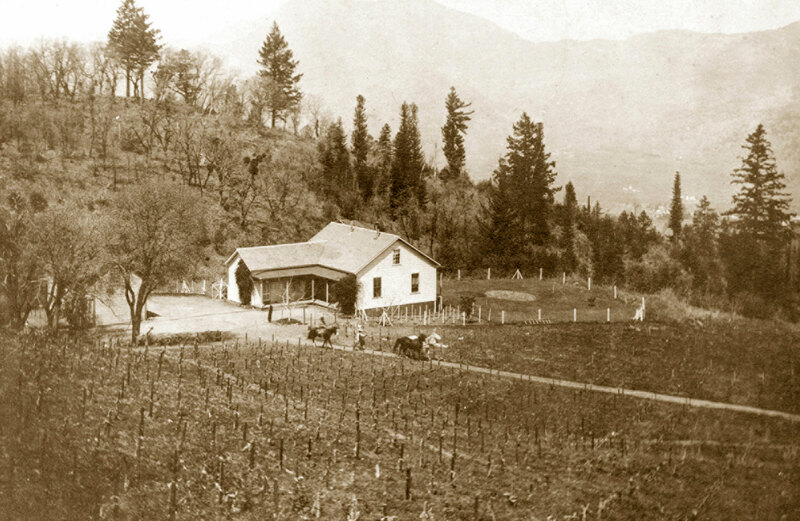 This six building farm complex and twenty-six acre vineyard located in the mountains above Napa Valley in Calistoga, California illustrates trends relating to the development of the agriculture and viticulture industry in Napa County during the late nineteenth century and the beginning of the twentieth century. 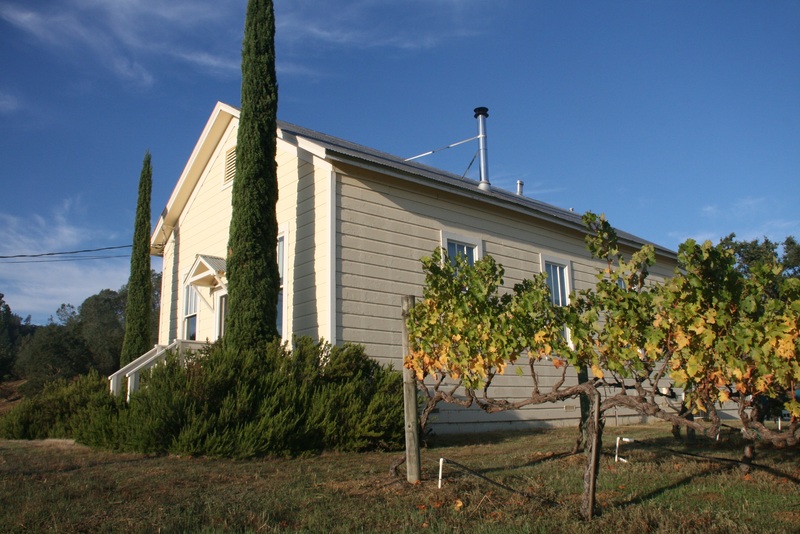 Typical of this period Monte Vista functioned as a small mountaintop vineyard operated by a single family until Prohibition when wine production all but ceased in Napa County. Southern California Sanitarium Historic District, Pasadena, Los Angeles County. A premiere facility for the treatment of mental disorders, that emphasized a healthy physical and social environment for its patients. It played a significant role in regional health care and is associated with the architectural, economic, and social history of the City of Pasadena in the period 1904-1929. Tubbs, Alfred L., Winery, Calistoga vicinity, Napa Valley. 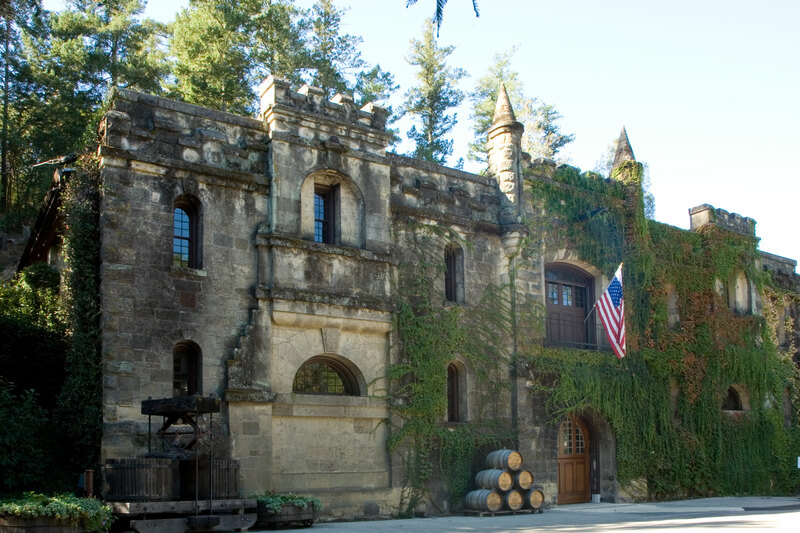 The c. 1888 stone winery in the style of an English Gothic castle gatehouse was built into the hillside of the north slope of Mount St. Helena, north of the City of Calistoga. In addition to its association with the maturation of the wine industry in the Napa Valley in the late nineteenth century, the winery now known as Chateau Montelena experienced a remarkable resurgence in the late 1970s that influenced the wine industry throughout California. Donner-Houghton House, San Jose, Santa Clara County. 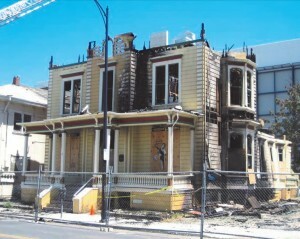 This property has been requested for removal due to its destruction by fire. California Aerospace Museum Los Angeles, Los Angeles County. 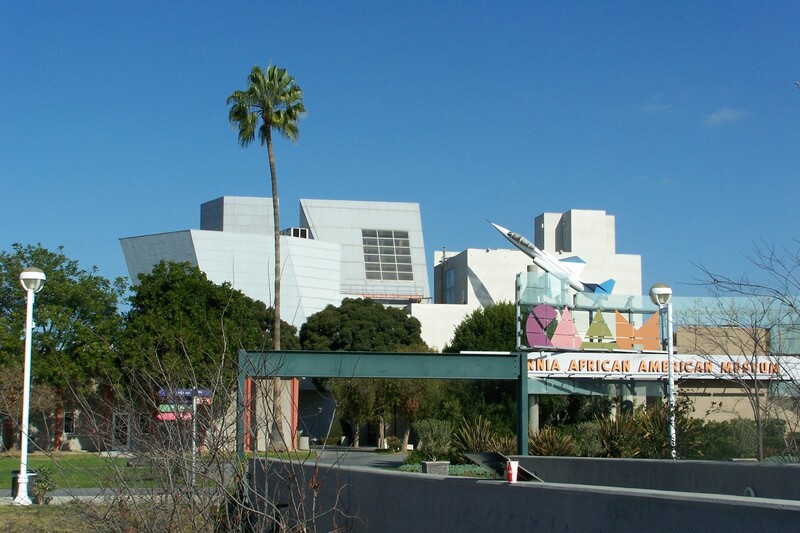 Constructed between 1982 and 1984, this museum was a seminal work of internationally acclaimed master architect Frank Gehry.